Your feline friend can suffer from different diseases, but one common condition that affects most cats is cystitis. Cystitis is an inflammation of the bladder and is not the same as a urinary tract infection. The inflammation in the bladder can be due to either an infection or irritation. Cystitis is common in young kittens, and its likelihood of occurrence decreases with age. While some cats may only have a single episode of cystitis in their lifetime, some may experience other instances of the condition throughout their life. Cats with cystitis have trouble urinating and make frequent attempts to use the litter box with little to no success. Some cats may even urinate outside the litter box. Apart from this, symptoms may include pain, loss of appetite, bloated stomach, excessive licking of the urinary opening and a sudden change in behavior. While it is a miserable condition for cats, owners also suffer greatly seeing their pet in immense pain. There are some natural treatments for cystitis that can bring quick relief to your cat. 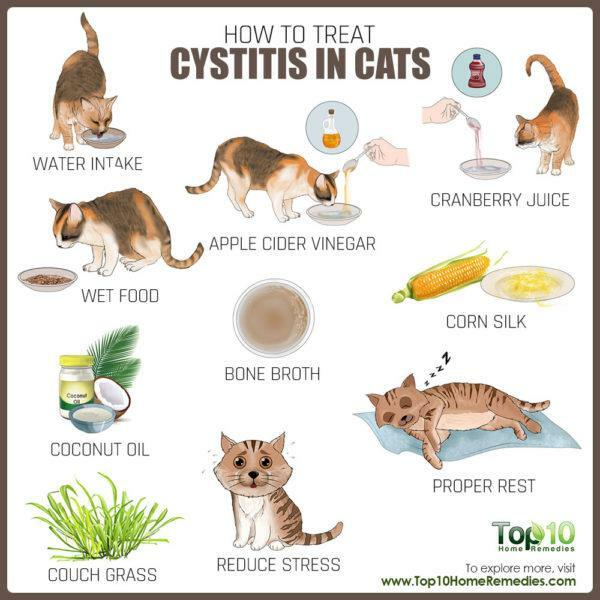 Here are the top 10 ways to treat cystitis in cats. To treat any kind of bladder problem, including cystitis, ensure that your feline friend is drinking an adequate amount of water. Proper hydration is critical to the health of your cat’s bladder. Keep the water bowl filled and close to your cat at all times. To encourage fresh water consumption, add tuna juice to the water bowl. If your cat loves drinking out of glasses or faucets, allow it. If your cat likes running water, consider investing in a pet drinking fountain. Apple cider vinegar is an effective treatment for any kind of bladder problem in cats. It can quickly resolve bladder inflammation, and it gives a boost to your pet’s immunity. Add ½ teaspoon of raw, unfiltered apple cider vinegar to your cat’s water bowl. 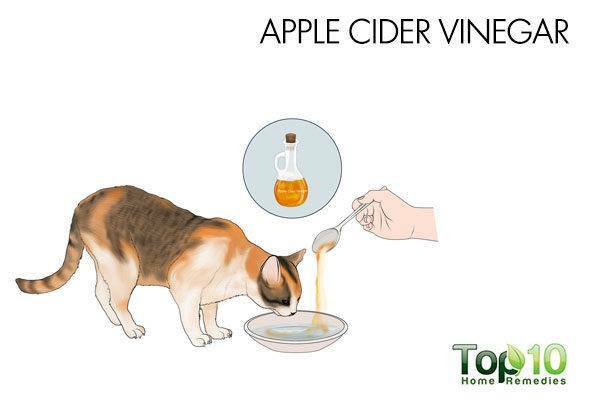 Another option is to mix ¼ teaspoon of apple cider vinegar into your cat’s food twice a day. 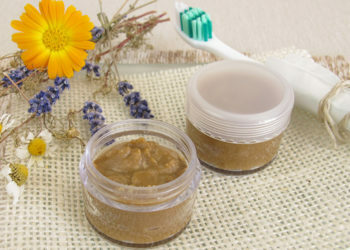 Mix together ¼ teaspoon of apple cider vinegar and ¾ teaspoon of water. Use a syringe and feed it to your cat 2 or 3 times daily. Cranberries contain compounds that prevent the growth of bacteria adhering to the walls of the bladder as well as tissues in the urinary tract. Plus, being acidic in nature, it helps maintain the pH level of the urine. 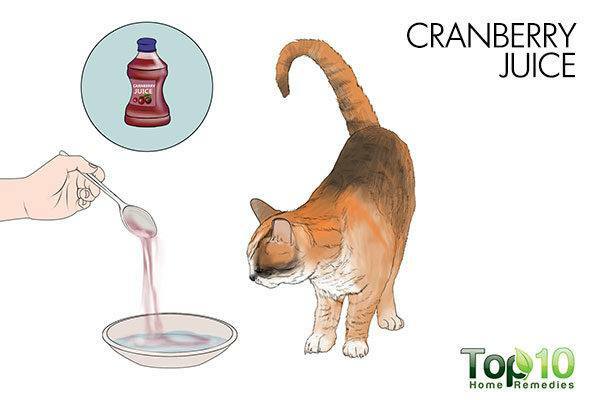 Add a few teaspoons of cranberry juice (unsweetened) to your cat’s drinking water. Fresh or dried cranberries can also be added to your cat’s food. 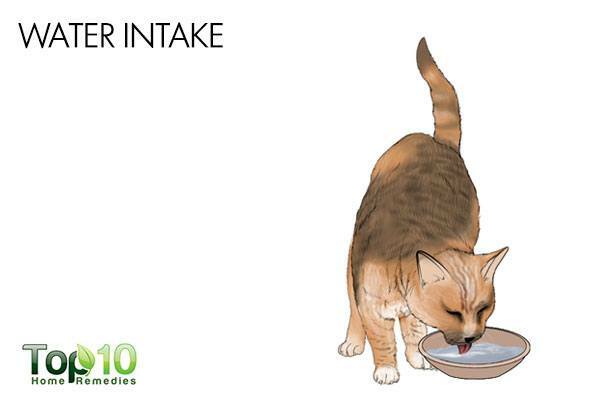 Apart from water, dietary changes can help add enough fluids to your cat’s body to effectively flush out the bladder. 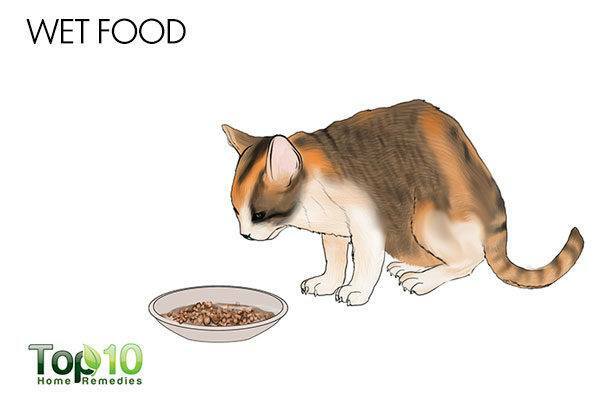 For instance, feed your cat wet food as much as you can. 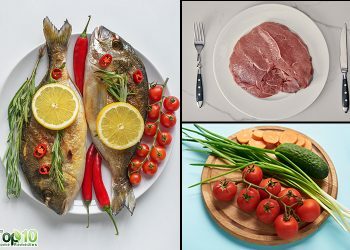 Feeding your cat an anti-inflammatory diet that excludes rice, corn and wheat can help a lot in managing the condition. You can also serve your pet canned food. 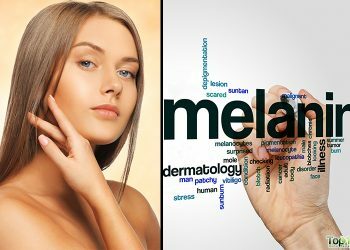 Look for a quality commercial canned food that is low in magnesium, easy to digest, produces more acidic urine and provides more fluid intake. You can ask your vet for recommendations. Serve the food in a wide container, as cats prefer that their whiskers don’t touch the sides. Avoid dry food that contains fillers, grains, food coloring and other chemicals that are working against your cat’s health rather than for it. Bone broth, made by simmering bones in water for a long period of time, has vitamins and minerals that can be very nourishing for a sick pet. 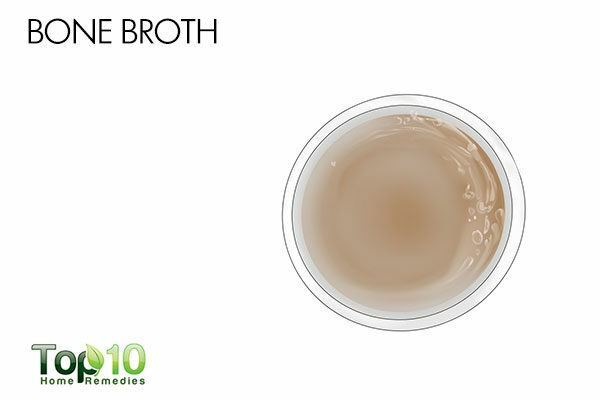 In fact, bone broth is a light and nutritiously packed beverage that most cats love to drink. Moreover, it plays a key role in keeping your pet hydrated and helps get the whole digestive system working properly. You can serve ¼ to ½ cup of bone broth to your cat on a daily basis. When making the broth, you should only use clean, filtered water. Another good remedy to treat bladder problems in felines is corn silk. 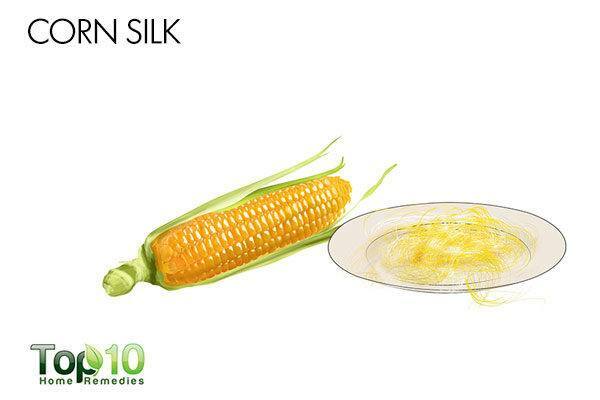 Being rich in polysaccharides, corn silk helps ease pain and inflammation associated with cystitis. 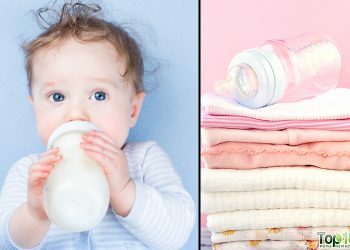 Plus, it increases your pet’s urine output, which is important for good bladder health. To treat cystitis in cats, give your pet corn silk tincture or powder as advised by your vet. 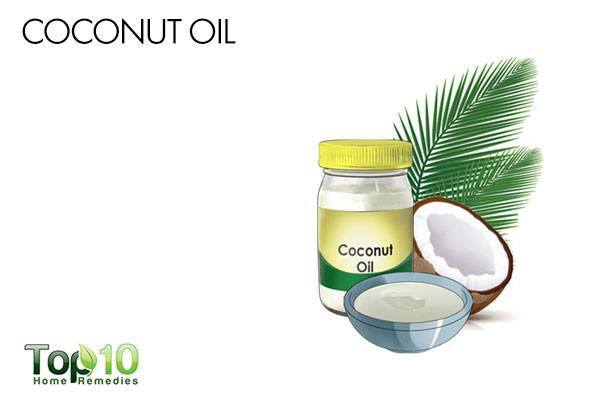 Coconut oil is rich in anti-inflammatory properties that help reduce inflammation in the bladder. Also, being highly nutritious, coconut oil is good for your pet’s overall health. Add ¼ to ½ teaspoon of cold-pressed coconut oil to your cat’s food. Another option is to put a pea-sized amount of coconut oil onto your cat’s paw for him to lick off. 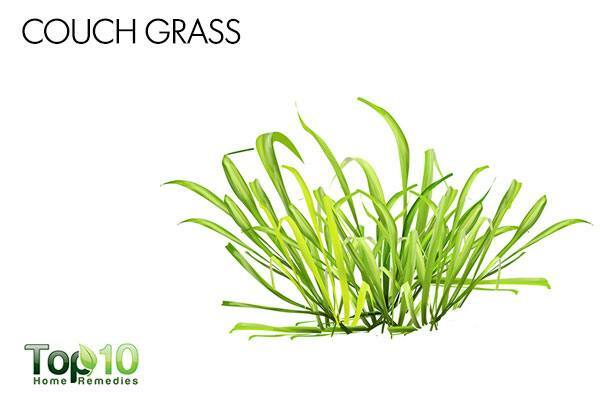 Couch grass is an herb that contains anti-inflammatory properties that can help lessen the pain that cats with cystitis experience during urination. Also, the herb’s diuretic properties induce urination in cats. This is helpful because the greater the frequency of urination, the faster the condition will be resolved. Cats love to eat couch grass with relish. If this herb is available in your area, then you must feed it to your cat. You can also boil the leaves and add the solution to your cat’s drinking water. 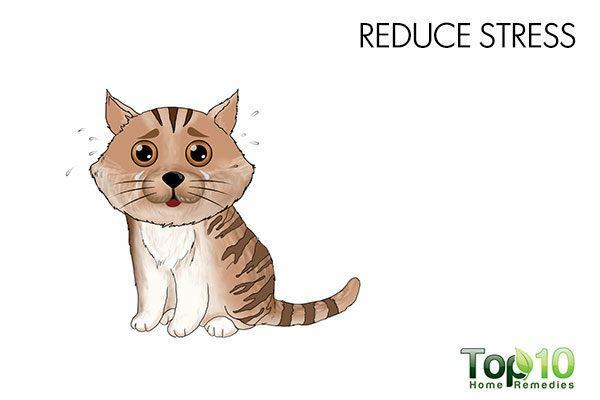 As stressful situations are suspected to contribute to the occurrence of cystitis in cats, you need to try to reduce the stress level in your feline friend. Your attention and care can reduce your pet’s stress level. Set aside time to play with and show affection to your cat to make him feel secured and loved. Also, create hiding places for your cat in various rooms. This will help make your cat feel safer and less stressed. Even scratching posts can help reduce a cat’s stress level. When suffering from bladder inflammation, your cat may feel tired and fatigued. 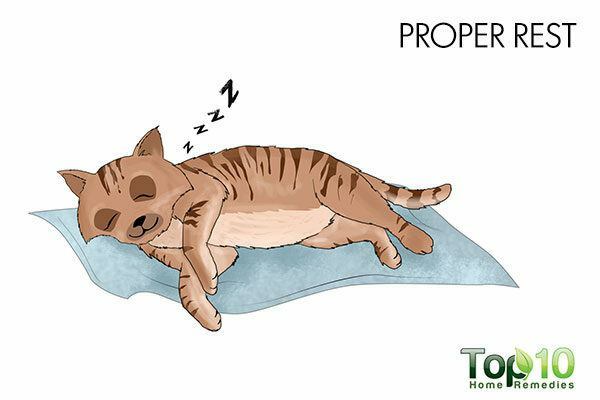 It is important for your feline to rest as much as possible. Proper rest will help the body heal faster. Keep your pet at home. Do not play with your cat for too long at one time, as it will drain his energy level. Encourage him to walk around the house from time to time for short durations. In the meantime, keep your pet as comfortable as possible. Early diagnosis ensures better treatment, so watch for symptoms of cystitis in your cat and act promptly. If your vet has prescribed antibiotics, give the medicine as directed. A clean litter box filled with the appropriate kind of litter must be available to your cat at all times. Add probiotics to your cat’s diet to help ensure healthy bladder function. Keep your pet groomed, and his sleeping and feeding areas clean. Make sure your cat gets regular potty breaks, so he doesn’t have to hold his urine. You can give glycosaminoglycan supplements to your cat to boost the effectiveness of the protective layer in the bladder. 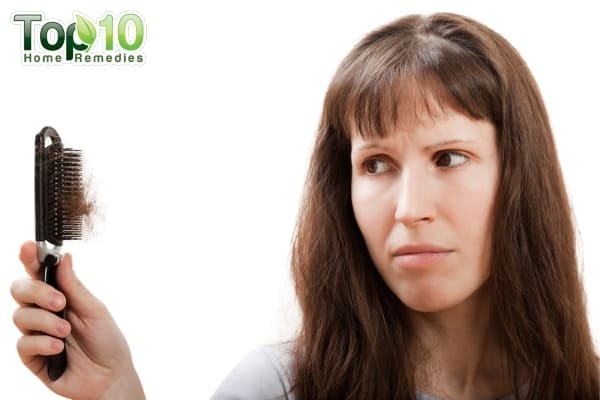 Always talk to your vet before giving your pet a supplement.